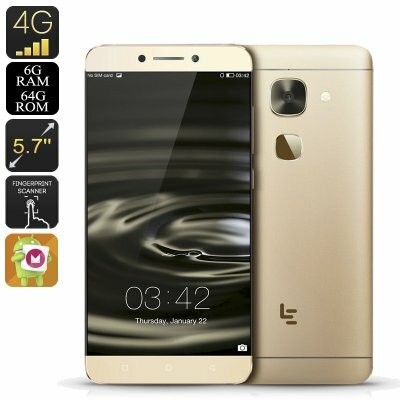 Successfully Added LeEco Le Max 2 Smartphone - 2K 5.7 Inch Display, Snapdragon 820 CPU, Dual-SIM, 6GB RAM, 21MP Camera, Android 6.0, 4G (Gold) to your Shopping Cart. Formally known as LeTV, the recently renamed LeEco bring us a delightful large screen phone called Le Max 2. The LeEco Le Max 2 is an absolutely gorgeous Android phone that delivers a stunning 2K experience on its beautiful 5.7 inch display. Being able to watch your favorite movies, play games, and enjoy the latest mobile Apps in breathtaking 2560x1440 resolutions will absolutely lift your mobile media experience to entire new heights. Thanks to its 2K technology its display brings forward wonderful visual images, portraying all your media in absolutely sunning color and detail. No matter what sorts of media or entertainment you like to enjoy on your phablet– with the LeEco Le Max 2 you are sure to enjoy a truly cinematic experience from the palm of your hand. In order to let you enjoy the latest and most demanding media in stunning 2K resolution this Chinese smartphone packs the 64-big Qualcomm Snapdragon 820 CPU. Clocked at 2.15GHz, this Quad-Core CPU has been designed specifically to deliver an exceptionally fast and smooth user experience – allowing you to enjoy the most demanding games and latest 2K movies without dropping a frame. Added to that comes the phone’s Adreno 530 Graphics Unit that takes the visual experience provided by this smartphone to an even higher level. Running on the eUI 5.6 operating system that has been based on android 6.0 this Chinese smartphone is guaranteed to offer a smooth and fast user experience that comes along with the latest features the mobile industry has to offer. Packed with 6GB of RAM the LeEco Le Max 2 is the ultimate multitasking smartphone that truly lets you take the most out of all the features your smartphone has to offer. With its powerful 3100mAh battery you can be assured that, with this Android phone, you will be able to enjoy all your phone’s features, media, and games, for hours in a row without needing to worry about running out of juice. Featuring 4G connectivity and Dual-Band Wi-Fi the LeEco Le Max 2 is guaranteed to provide you with the fastest data connections out there, no matter where you are located. Stream the latest movies online, browse the web, or play demanding online games – with this Android phone slow internet connections will be an issue of the past. With its 64GB of internal storage you can be assured that there always will be enough storage for you to save all your files and media that can now be downloaded in the blink of an eye thanks to the phones’ astonishingly fast internet connection. Holding a truly breathtaking 21MP camera, the LeEco Le Max 2 allows you to snap beautiful images and record sensational footage in stunning 4K resolution. From now on not a single moment in life will pass by unnoticed as with this professional-grade camera at hand you’ll always be able to snap the most beautiful pictures no matter where you are. Additionally, this phablet comes with a sophisticated 8MP front snapper that is the perfect tool for all selfie lovers out there. 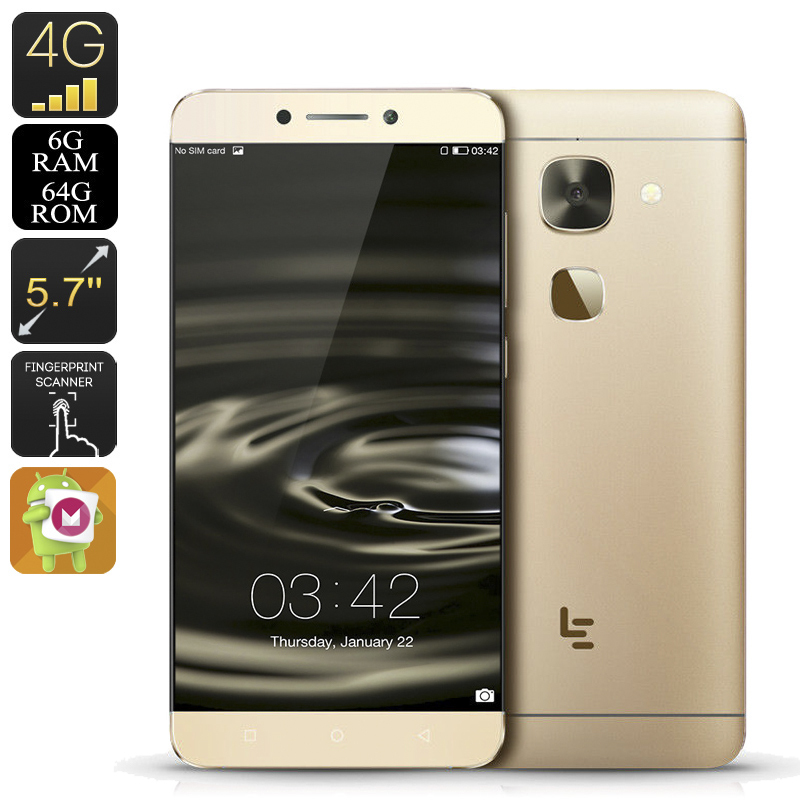 The LeEco Le Max 2 comes with a 12 months warranty, brought to you by the leader in Android phones as well as wholesale electronic gadgets..